The Discover It credit card has one of the best introductory rates on purchases and balance transfers. They are currently offering a free FICO credit score on your monthly statement. Your credit score is one of the most frequently used piece of information lenders review when they are making a credit decision about you. It is helpful to see your score for free each month so that you can stay on top of your score and avoid any surprises. 5% cash back in categories that change throughout the year, up to the quarterly maximum of $1,500. After Intro period, variable APR is 10.99% – 22.99%. 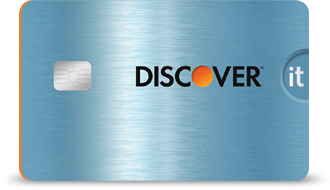 Let’s first take a more in-depth look at the advantages of the Discover It Credit Card. Discover It is a great credit card to use, especially if you use it in conjunction with another credit card and align your spending with the current bonus categories. For example, if you are spending on restaurants, use Discover It credit card during the first quarter of the year and use Chase Freedom during the second quarter to get 5% cash back (Chase also has 5% bonus categories that change every quarter). 2) 1% Cash Back on All Purchases – Some credit cards may give you great rewards for only a few categories but below-average rewards on everything else. However, with Discover It, not only can you earn 5% on different categories, but you are also guaranteed unlimited 1% cash back on all other purchases! You can easily make the Discover It card your default credit card or use it in conjunction with another card. 3) Free FICO Credit Score Every Month – Get your free FICO credit score on your monthly statement to help you stay on top of your credit. 4) No Late Fee on Your First Late Payment – Forgot to pay your credit card bill on time? Many credit card companies charge about a $35 late fee but Discover will waive your first late payment. You can also pay your bill up to midnight (ET) the day it’s due by phone or online without having to pay a fee. 5) Paying Late Won’t Raise Your APR – Most credit card companies have terms that allow them to increase the APR if certain conditions are not met. For example, if you are late with a payment, your credit card company may increase the APR on your card or charge a late fee. With Discover, paying late won’t increase your APR and there is no late fee on your first late payment. 7) No Foreign Transaction Fee – Many card companies charge a foreign transaction fee of about 3%. With Discover, you can conveniently use your credit card without incurring any foreign transaction fee. 8) Redeem Rewards in Many Ways – Your rewards are redeemable online through Discover’s online shopping mall, which offers anywhere from 5% – 20% off department store prices. You can redeem them in many ways, such as for statement credit, merchandise, and charity. If you redeem your cash back rewards as gift cards, you can double your return. Points also never expire. 9) Superior Customer Service – Unlike other card companies, Discover offers 100% U.S. based customer service available any time. 10) Price Protection – If you made a purchase within 90 days and now it’s discounted, Discover will refund you the difference. Unlike one of its main competitors, the Chase Freedom card, Discover It credit card does not currently offer any bonus incentives for signing up. However, since the bonus signup is only a one-time occurrence, this isn’t a big disadvantage for many people. Discover does offer many other benefits and services to make up for this, such as minimal fees (no annual, overlimit, or foreign transaction fees). Although Discover is accepted at 9 million merchants nationwide, as of now, it is not accepted universally as its competitors, Visa and MasterCard. This is because Discover charges higher premiums to merchants, which is why some do not accept Discover. One drawback of this credit card is there is a limit on the 5% cash back on bonus categories of up to $1,500 in combined purchases each quarter. Although you will still be eligible for 1% after the $1,500 limit, this is a factor to consider in the card selection process. If you are a big spender on certain categories, you may want to look at alternatives so that you can earn more cash back rewards beyond the 1% cash back after you reach the $1,500 limit. For example, if you a big spender on gas and you have reached your $1,500 limit during the 3Q, start using Chase Freedom for gas. Chase Freedom also offers 5% cash back on gas stations from July 1 – September 30. On the other hand, if you don’t even spend money on any of Discover’s bonus categories, you won’t get much value out of the 5% cash back, and thus this credit card may not be the best rewards card for you. If that’s the case, consider the Capital One® Quicksilver® Cash Rewards Credit Card, which offers a flat 1.5% cash back on all purchases. It also offers a one-time $100 bonus if you spend $500 within the first 3 months after you open your account and has no annual fee. Although you get 5% cash back on different categories each quarter, some people may find it a hassle to remember the changing categories. You also have to activate your card every quarter in order to get the 5% cash back. However, the activation process is simple and can be completed through multiple ways in a matter of seconds. This entry was posted on Friday, February 24th, 2017 under Credit Card Reviews.